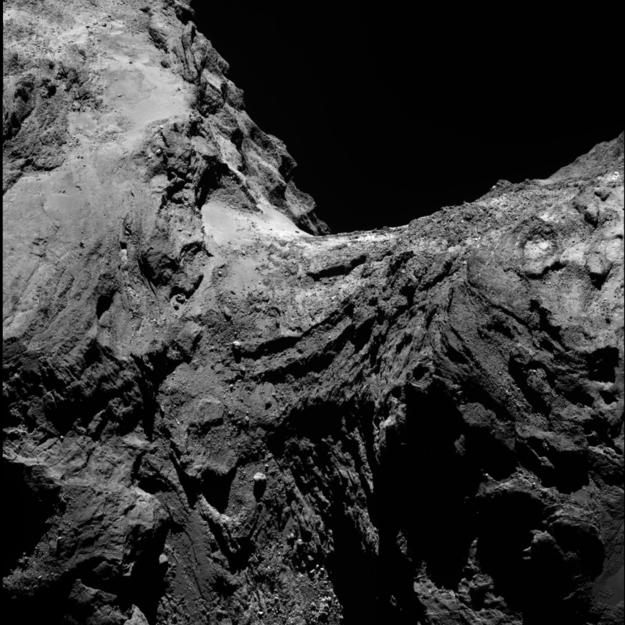 Single-frame OSIRIS narrow-angle camera (NAC) image taken on 30 January 2016, when Rosetta was 61.9 km from the nucleus of comet 67P/Churyumov-Gerasimenko. The scale is 1.11 m/pixel. More images of comet 67P/Churyumov-Gerasimenko can be found in the '67P - by Rosetta' collection.